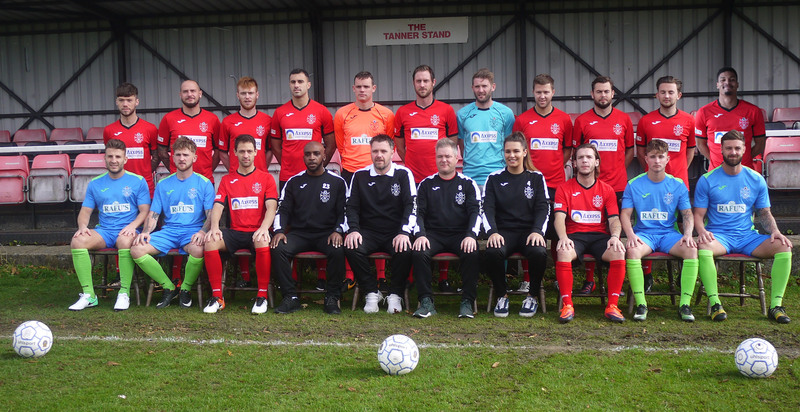 The final HighworthTown away fixture of the season ended with another narrow defeat as Lewis Powell's 25th goal of the season in the 70th minute was enough to give the home side all 3 points. There was little between the two sides in the first half with both goalkeepers not really tested although Larkhall shaded it in terms of possession. The nearest Highworth came to scoring came in the 44th minute when Jordan Young curled an 18 yard effort just wide of the keeper Semmens right hand post post. The second half followed a similar pattern as the first with the home side dominating possession but without creating to many chances. Powell fired home from 10 yards following a cross from the right. An immediate equaliser nearly arrived for Highworth when Semmens brilliantly saved a Darren Jeffries effort which was destined for the top corner and Sam Morris had a header cleared of the line from the resultant corner. Highworth may have been fortunate not to concede a penalty on 87 minutes when Wayne Turk tangled with a Larkhall forward but the referee deemed the home played was guilty of simulation. 6 away defeats on the bounce for the Worthians but we finish the season with 2 home games on the 20th and 27th April versus Barnstaple Town and Fleet Town.